Dental technology has advanced significantly over the past few decades, and to see evidence of that, you need to look no further than our beautiful, state-of-the-art facility. We’ve spared no expense when it comes to investing in the latest tools, and every day, they allow us to provide fast, precise, and comfortable care for all of our patients. Our team is continually educating ourselves to stay on top of the latest breakthroughs in dentistry, and you can trust you will reap the benefits. This small, camera-tipped wand can be easily maneuvered through the mouth to capture high-resolution images of your teeth and gums that can be instantly displayed on a large, chairside monitor. This will not only make it much easier for our team to spot dental problems, but it will also help you gain a much better understanding of your oral health. For the first time, you’ll actually be able to see what your dentist is talking about, enabling you to make more well-informed care decisions in the future. 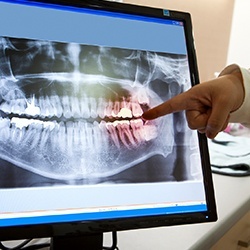 Dental X-rays have been an essential diagnostic tool in dentistry for a very long time, so we have made a conscious effort to use only the very best version of them in our office. 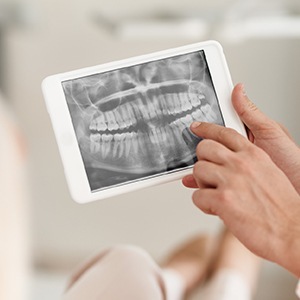 With digital x-rays, we can quickly create highly-accurate images of the hidden surfaces below your teeth, and even better, they emit up to 90% less radiation than traditional x-rays. Plus, because everything is digital, the images can be easily displayed, blown up, and color-coded so Dr. Pate can easily demonstrate what he sees. With our laser cavity detection system, we’re able to catch tooth decay at its very earliest stages and prevent it from turning into a cavity. 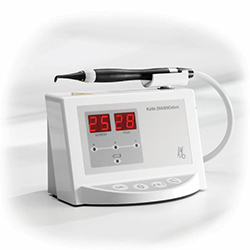 The system uses a highly concentrated beam of light to detect even the smallest sign of enamel thinning, so small that it would probably be missed by a regular exam. With this knowledge, our team can implement conservative treatments to help patients avoid preventable dental problems.